In the CNS, specialized cells work together to differentiate, wire, and later die to form a completely integrated system. As a chemical biologist, I integrate chemistry, organismal biology, and cellular/molecular techniques to investigate the injury response and regeneration of the CNS. 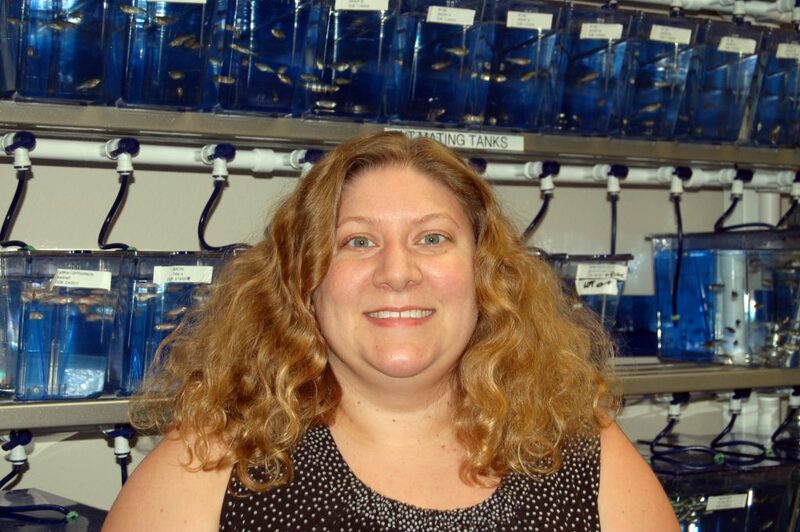 In particular, my lab uses the zebrafish as a model because of their remarkable regenerative capacity. My lab is particularly focused on understanding the role bioelectricity plays in locomotor recovery and the genetic factors that govern this process. Bioelectric signals generated by membrane proteins, such as changes in membrane voltage, are required for embryonic patterning, wound healing, and tissue regeneration suggesting a mechanistic link between membrane potential and an individual cell’s behavior as well as cell-cell communication. To gain a systems-level understanding of the bioelectric network we are utilizing multi-electrode array electrophysiology. By recording the CNS network over time and monitoring swim behavior, we will understand how global changes in bioelectricity contribute to recovery. We aim to combine these studies with traditional genomics in order to identify new therapeutic intervention points. One of my favorite blogs is Genes to Genomes. I really enjoy participating in The Allied Genetics Conference; it provides a unique opportunity to meet with scientists using other model organisms, helping to establish new collaborations. YES! We are actively looking for new lab members — especially those in love with the zebrafish! I get to learn something new every day and work with some really amazing students! Hiking or snowshoeing — depending on the weather!